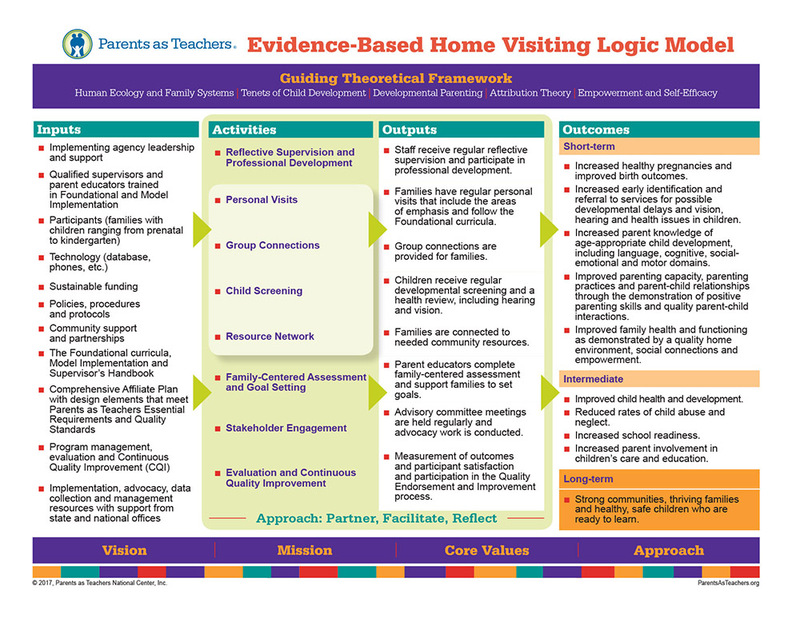 More than a dozen outcome studies have been conducted on the effects of the Parents as Teachers model. Evaluations have been supported by various states, school districts, private foundations, universities and research organizations. With each new evaluation, we continue to learn about the children and families served by Parents as Teachers and the long-term impacts on communities. See a full bibliography of Parents as Teachers studies. Our logic model offers a visual description of our theory of change and how we achieve desired outcomes. Each year our programs report data on service delivery and the reach of our services. See an infographic and 2-page summary of who our programs served during the most recent program year.